Size: Up to 24 inches more or less. Growth Form: Forb/herb; multiple stems, glabrous. Leaves: Green or gray-green; mostly basal, (radical), palmately divided with round tipped lobes, few cauline leaves (1 to 4) at flowering (anthesis). Flowering Season: March to June. Elevation: Below 5,000 feet, rarely 8,000 feet; 3,500 to 8,000 feet in California. Habitat Preferences: Locally frequent on open upper deserts, juniper communities, grasslands and gravelly mesas. 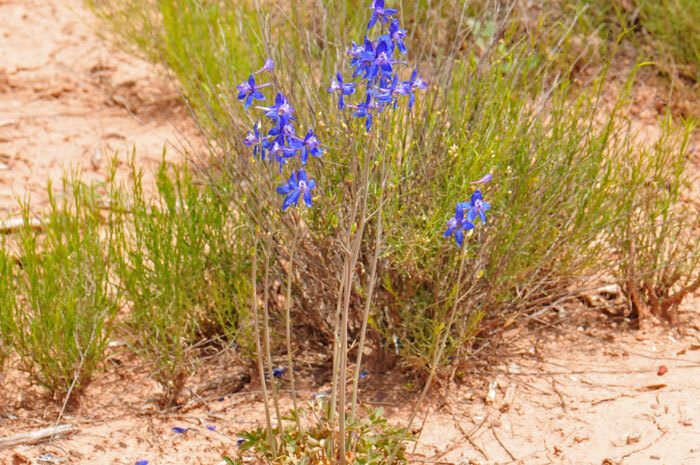 Recorded Range: Tall Mountain Larkspur is found in the southwestern United States in AZ, CA, CO, NV, NM, UT. Greatest presence occurs in Arizona and Utah, in NM they are found in the northwest with fewer numbers in the southwest, in California they are found in the southeast and Colorado in the southwest. Nevada has few species. In Arizona they are found throughout most of the state with few or no records for Cochise, Santa Cruz and Yuma counties. North America & US County Distribution Map for Delphinium scaposum. 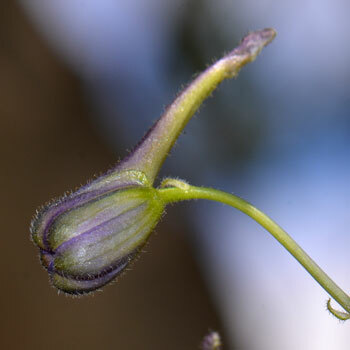 Genus Information: In North America there are 73 species and more than 100 accepted taxa overall for Delphinium. 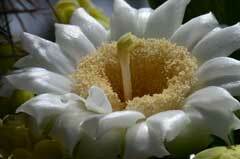 World-wide, The Plant List includes 457 accepted species names with more than 800 taxa overall. 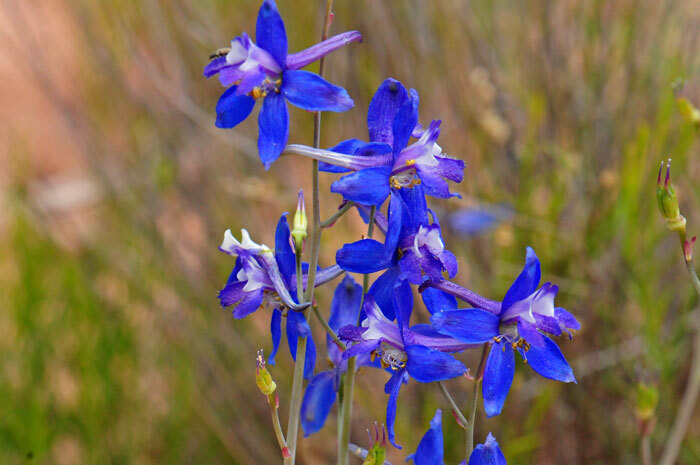 In Arizona there are 9 species of Dephinium, in California there are 29 species, New Mexico has 12 species, Nevada has 8 species, Texas has 3 species and Utah has 7 species. All data is approximate and subject to taxonomic changes. Comments: As with several other members of the Ranunculaceae family, the nectar of Tall Mountain Larkspur sought by bees and hummingbirds. 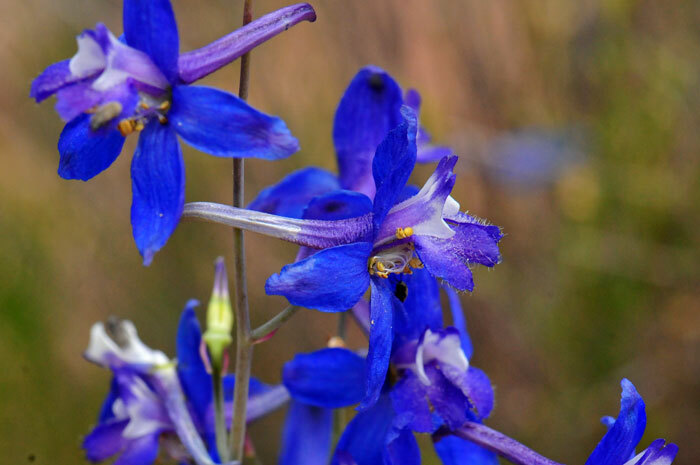 In some parts of its range, plants of Tall Mountain Larkspur have been know to be toxic to cattle. 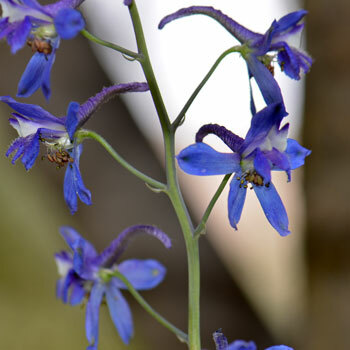 Tall Mountain Larkspur has been used for several purposes by North American indigenous peoples. Hopi Drug, Ceremonial Medicine, Plant taken as an emetic in Po-wa-mu ceremony. 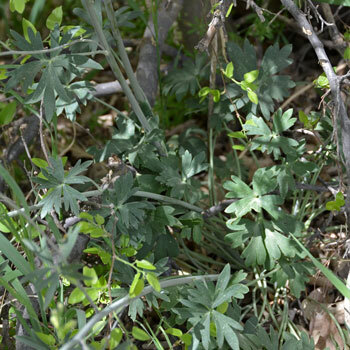 Hopi Drug, Ceremonial Medicine, Plant used as a ceremonial emetic. Hopi Drug, Gynecological Aid, Decoction of plant and juniper used to bathe mother during the lying-in period. Navajo Dye, Blue, Petals used to make blue dye. 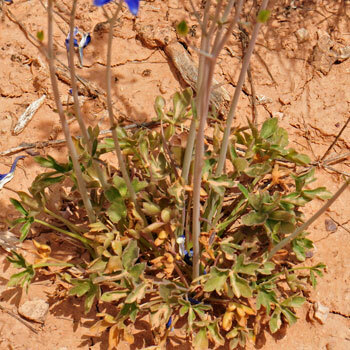 Navajo, Kayenta Drug, Gynecological Aid, Plant eaten by women to become prolific. Navajo, Kayenta Drug, Veterinary Aid, Plant eaten by goats to become prolific. James S. Pringle, FNA | Family List | FNA Vol. 3 | Ranunculaceae | Delphinium 27. Delphinium scaposum Greene, Bot. Gaz. 6: 156. 1881, not D . scaposum W. T. Wang. 1957. Flora of North America North of Mexico. 16+ vols. New York and Oxford. The Plant List (2013). Version 1.1. Published on the Internet; http://www.theplantlist.org/ (accessed 06/21/2016 ). Native Plant Information Network, NPIN (2013). Published on the Internet http://www.wildflower.org/plants/ [accessed: 06/21/2016]. Lady Bird Johnson Wildflower Center at The University of Texas, Austin, TX.